Quiet hours are from 11:00 p.m. to 7:00 a.m.
An alarm clock may be obtained from the hostess. The use of alcoholic beverages is not permitted. A pay station telephone is located on the first floor. Please arrange for the payment of your room with the hostess. Informational pamphlet. “Cornell College: Brackett Alumni Guest House.” 1986-1987. Brackett House Restoration Committee. 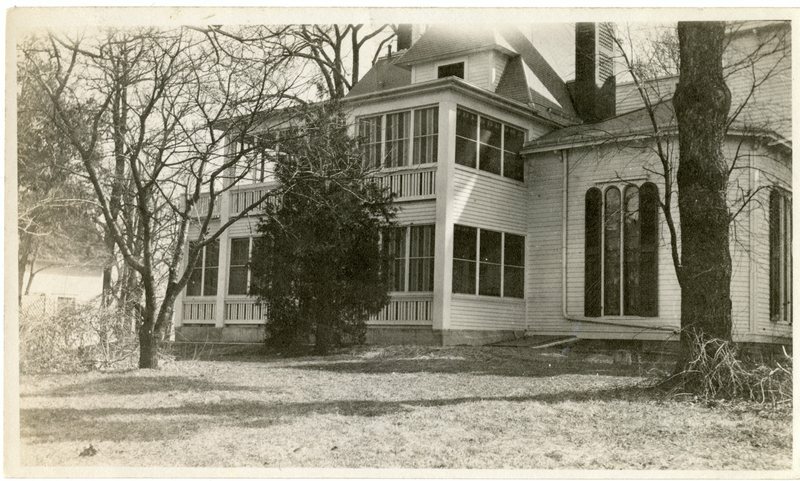 In 1948, Cornell College acquired another building for its use, the Brackett House. 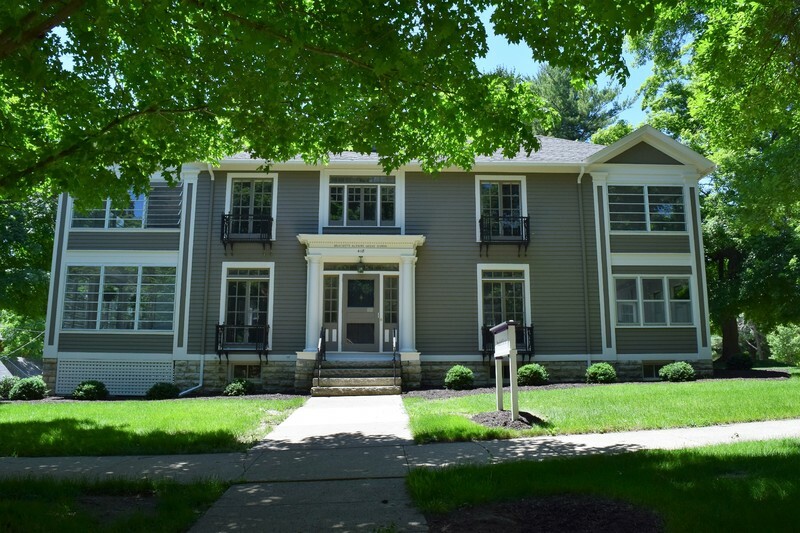 Located on the eastern edge of campus, across the street from College Hall, the former residence of William Brackett has been used primarily as a boarding house for guests of the college. 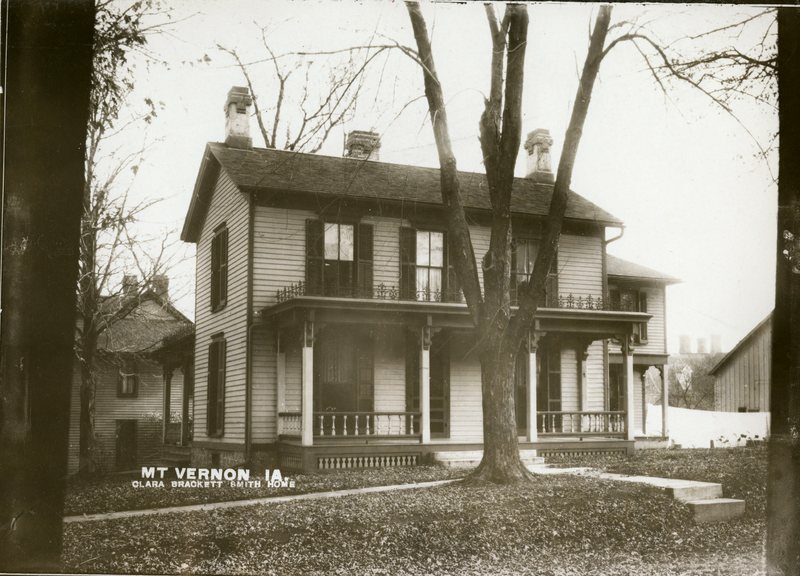 The house was built by William Brackett, a master carpenter who moved to Mount Vernon from the east coast. Brackett is also responsible for many of the buildings in town, including the second Methodist church (now the First Street Community Center), and he helped oversee the completion of King Chapel after the original contractor left. He built the house in 1877 with his wife and three children, Anna, Edgar, and Clara Brackett, all of whom graduated from Cornell between 1867 and 1881. The land on which the Brackett House sits originally belonged to Rev. George Bowman, the founder of Cornell, and it was later the site of Spangler’s Pottery, where the bricks for Old Sem and College Hall were made. Clara was the only descendant to remain in Mount Vernon, and so she inhabited the house with her daughter, Elisabeth, after her husband, William M. Smith, died when Elisabeth was six. In 1912, Clara married Armstrong Spear, a fellow Cornell classmate from 1881, and so began the era of Brackett House hospitality, as Clara Spear enjoyed entertaining people from all over. 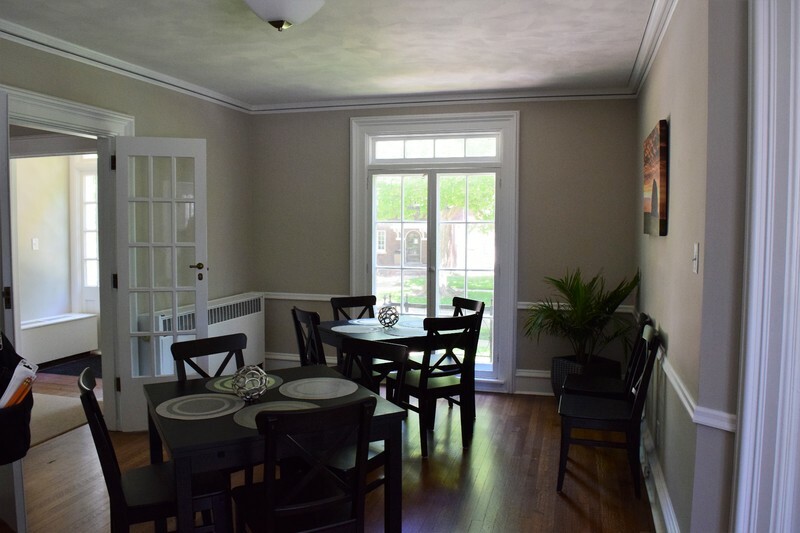 Sometime between 1914 and 1919, she enlarged the original house with a dining room and closed porch, and also altered the original direction of the house 90°, to make it more accessible to guests. Elisabeth Smith Ford inherited the house from her parents, and decided to will it to Cornell on the stipulation that one of her former teachers, Clara Blinks, be allowed to live there for the rest of her life. In 1952, the retired teacher passed away, and the college was now able to put the building to whatever use it saw fit. C.W. Neff, grandson of William Brackett (son of Anna Brackett Neff), presented the deed to the Alumni Association on May 15, 1953. 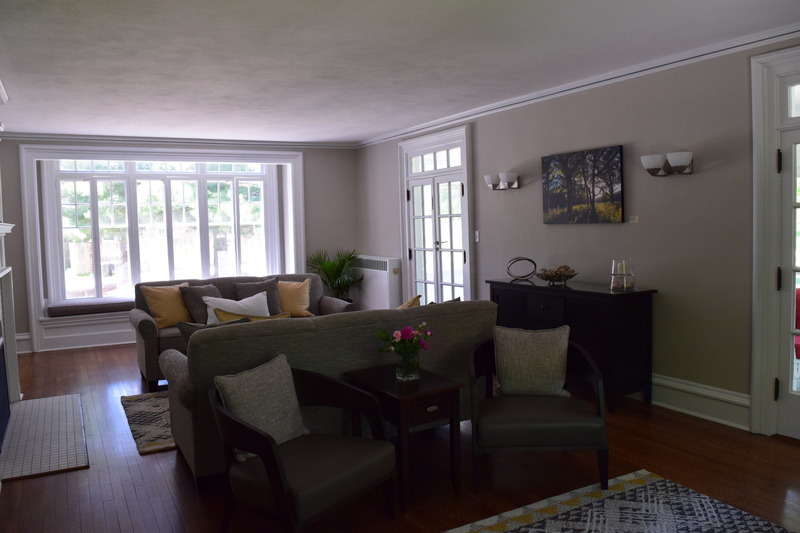 Initially, President Cole wanted to use the house for an admissions building and went head to head with the Alumni Association, who wanted the house to be used for alumni. Only after a generous donation by O.C. Pauley, given with the stipulation that it was to be used for renovating Brackett House, did Cole acquiesce to the use of Brackett for alumni. From 1953 until 1961, the alumni office occupied the ground floor of Brackett House (the upper floors became guest housing), until the office moved to Old Sem. In 1977, Bess H. Medary, Class of 1915 donated $75,000 to the college, allowing Cornell to renovate and restore Brackett House to its former glory. A committee headed by Anne Secor, wife of President Philip Secor, planned and executed the renovations in the summer of 1978. 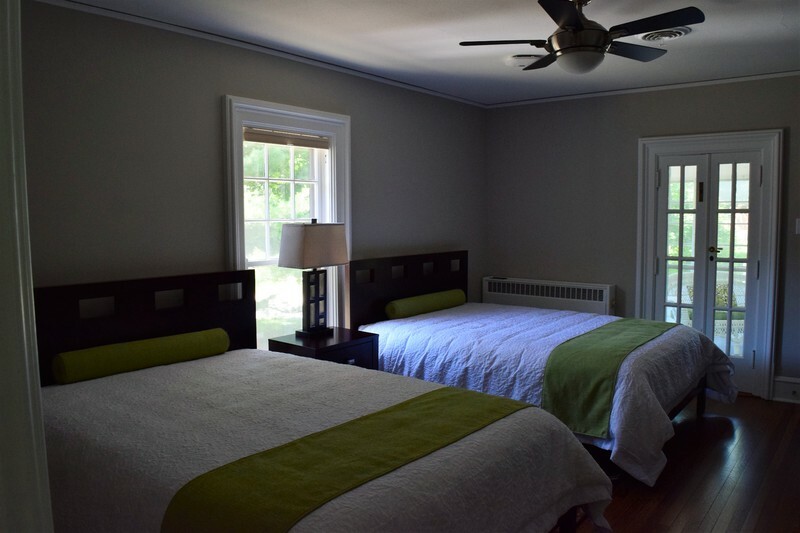 Medary, who had been a classmate of Elisabeth Smith Ford, was also on the committee, overseeing the replacement of furniture and other aspects so the house fit into the appropriate time period. Among the committee’s other members was Margaret Keyes ’39, whose grandfather had come to Mount Vernon 116 years earlier with William Brackett. Brackett House was closed August 5, 2012, its future uncertain. Three years later the building was renovated and it re-opened in June 2016, ready to host guests of the college once more. 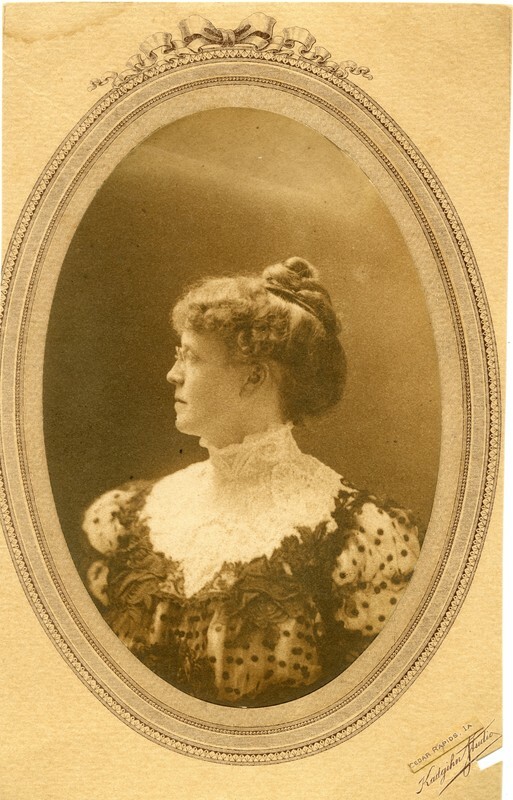 Clara Brackett: A portrait of Clara Brackett ~ Source: Cornell College Archives ~ Creator: Kadgihn Studio, Cedar Rapids, Iowa. ~ Date: 1907? 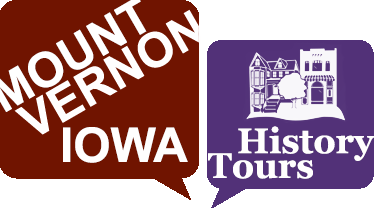 Brad Kane '18 and Hannah Robertson '18, “Brackett House,” Mount Vernon History Tours, accessed April 23, 2019, http://mtvernonhistorytours.com/items/show/27. C. William Heywood and Richard Harlan Thomas, Cornell College: A Sesquicentennial History, 1853-2003, Vol. 1 (Cedar Rapids: WDG Pub., 2004), 256. “Brackett House Built by Pioneer,” Mount Vernon-Lisbon Sun, October 26, 1978. “Brackett House is Rededicated," from “Cornell College Brackett Alumni Guest House Rededication Ceremony October 13, 1978. 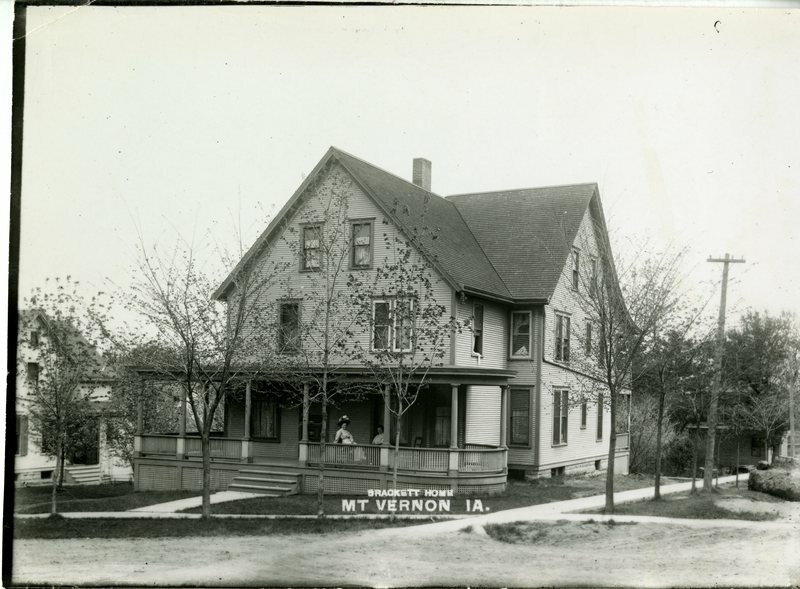 “Brackett House and the Brackett Family," College Archives. 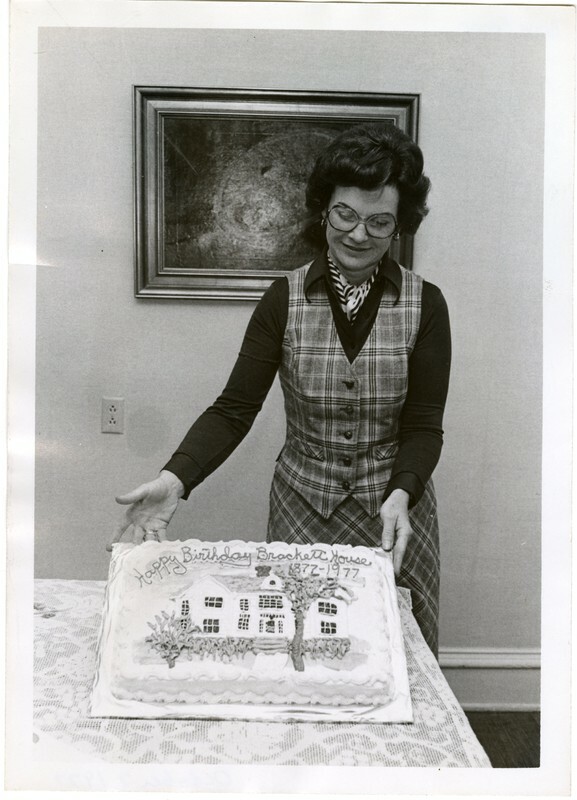 “Cornell College Brackett Alumni Guest House Rededication Ceremony October 13, 1978.”  Ibid. Maurice Hartung, Letter to James McCutcheon from Dr. Maurice Hartung, February 27, 1984, Cornell Archives. 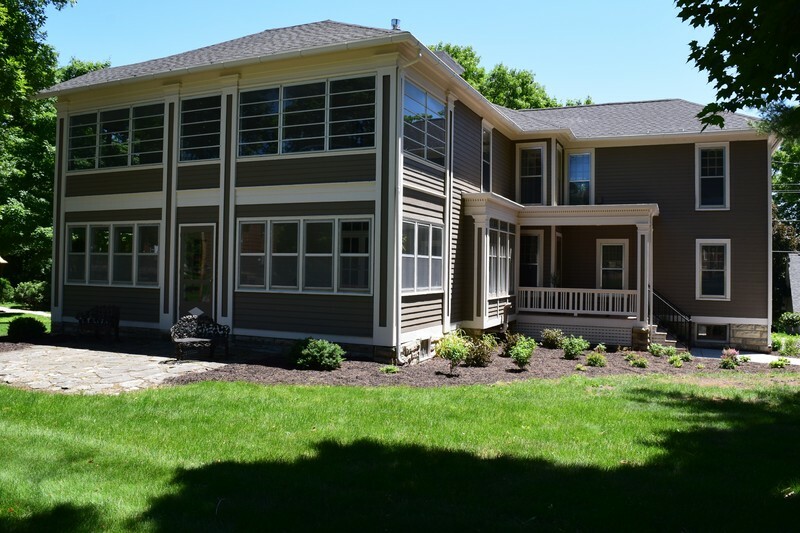 “Cornell College Brackett Alumni Guest House Rededication Ceremony October 13, 2016.”  Ibid. Bess H. Medary, “Notes on people and events in Brackett House history taken from material in Archives Folder on B. House - 1977,” College Archives. Heywood and Thomas, Cornell College: A Sesquicentennial History, 1853-2003, Vol. 1, 256. Ibid. “$75,000 Medary Gift Begins Brackett House Restoration,” Cornell Alumnus, Summer 1977, College Archives. “Cornell College: Brackett Alumni Guest House,” Informational pamphlet, Brackett House Restoration Committee, 1986-87, College Archives. 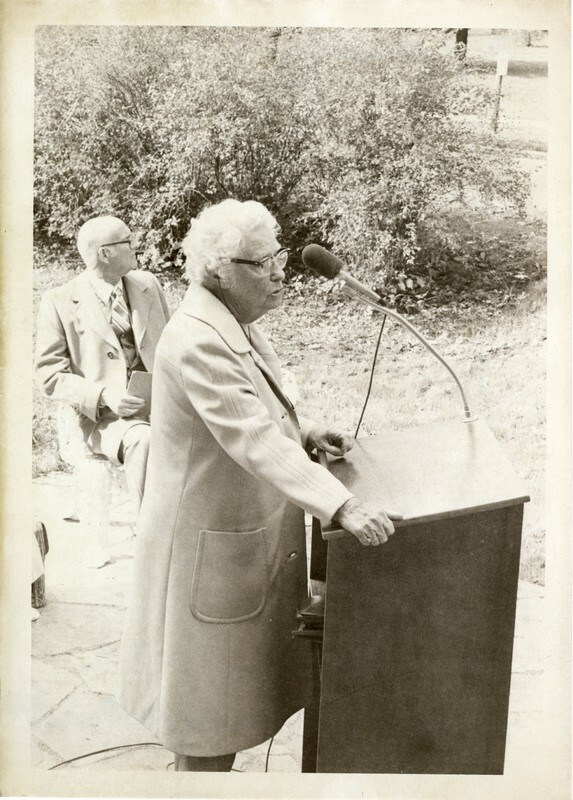 Anne Secor, “Speech at Brackett House Rededication,” 1978, College Archives. 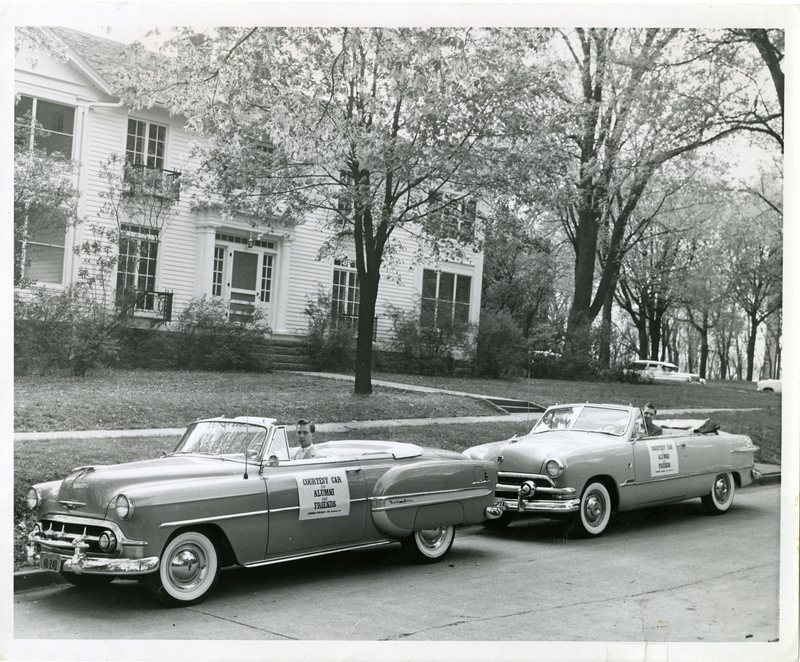 “Brackett House History," College Archives. Richard H. Thomas, Charles Cochran, Robert Majors, “Brackett House Restoration Committee: Subcommittee on use of the home,” November 15, 1977, College Archives.